I don’t know why I count ski days, and I’m not sure I want to know. I do know that I’ve averaged 35 days a season over the last five years with little variance. It’s become a bit of a benchmark for me. 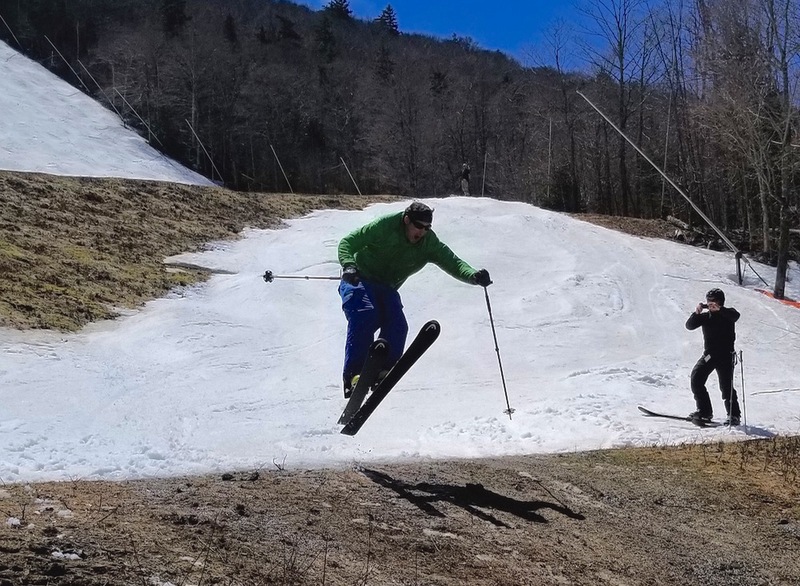 With 34 days this season and friends planning to rip under a sunny sky, I drove to Killington for Ski Day 35. Sort of. Friday afternoon Zelda and I were to attend the “States” gymnastics meet about an hour north of home. As you might suspect, the wheels were in motion. I devised a two-car strategy to allow me to head directly from the competition to our place in the mountains, within striking distance of Big K.
I was vaguely aware that there was severe weather in the forecast for much of Northern NY and Vermont. 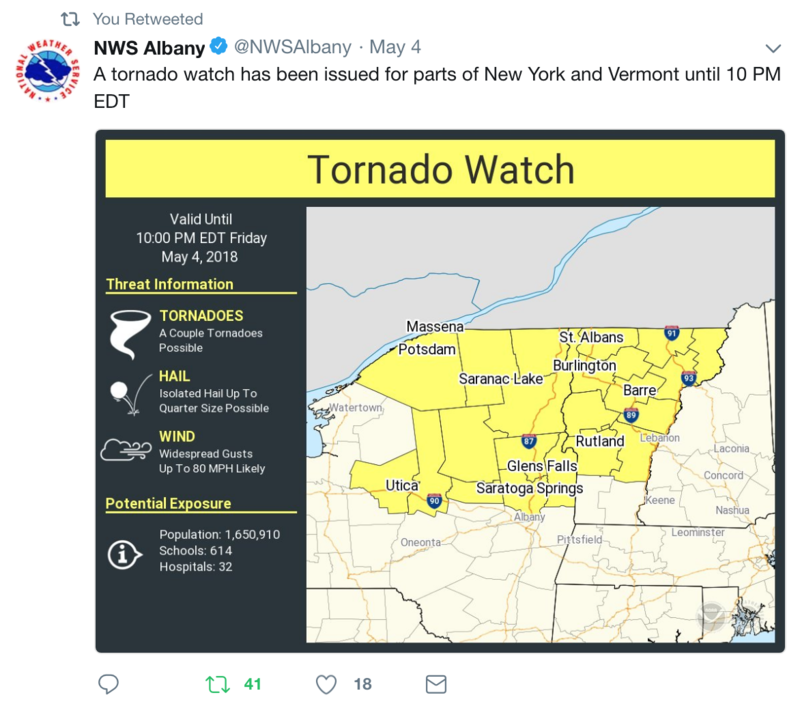 NYSkiBlog actually retweeted an NWS Albany tornado watch earlier in the day. Still, somehow I was surprised when I was engulfed by a brutal line of thunderstorms, driving on the Northway, south of Saratoga. The band of intense rain passed, but the wind was still howling. Our part of the southern Adirondacks was pretty ripped up with trees down everywhere, and I was force to make several detours. At one point I helped two guys pull a nice sized pine off the road while the trees above us were cracking in the wind. I finally made it to our cabin and tried to sleep as the wind continued to crank. In the morning the wind had died when I woke a bit before sunrise. I packed up — with a gassed up chainsaw, just in case — and headed out. As usual I was early, so I stopped in town for breakfast. It was a beautiful sunny morning as I drove past the lowland farms into Vermont. 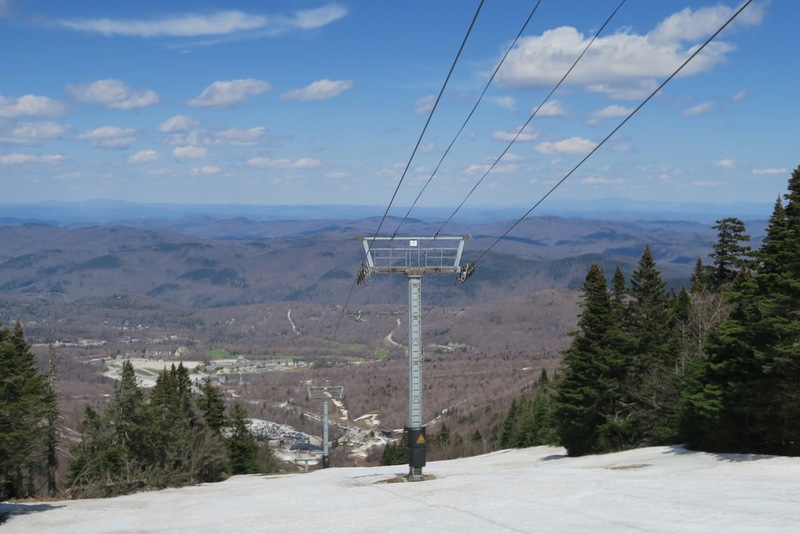 Killington’s an incredible place, but I don’t get to ski much of it, these days. Before we had our cabin in the Adirondacks, we’d come mid-winter to stay with friends in central VT and ski all of Big K. But in the last ten years my days have been exclusively Superstar spring days. Some were quite late, with little terrain beyond Supe itself. I bought my ticket, booted up and headed out to the quad. I was earlier than my friends who are — all three — very energetic skiers. 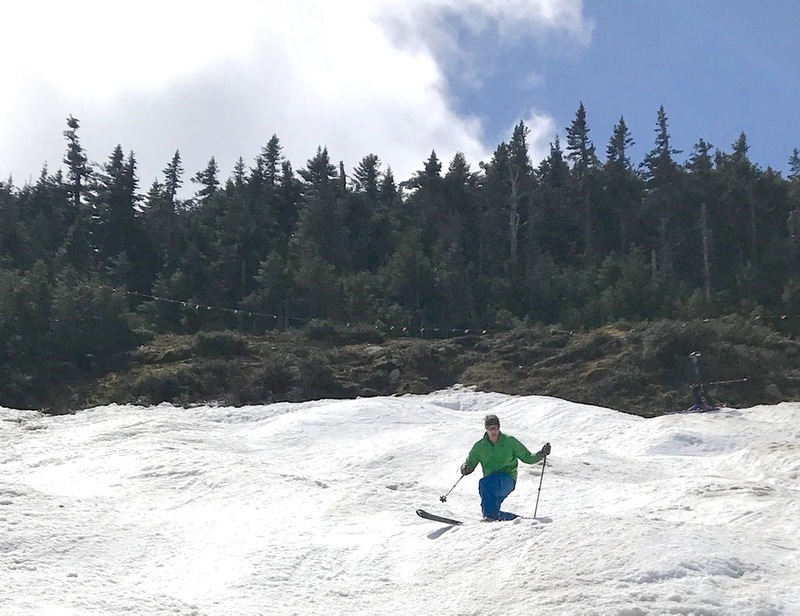 I decided to keep something in the tank for their arrival by hitting Bittersweet and Skyelark, blue trails that are often closed when I ski late season. Temps were in the upper 50s and the sun was in and out. Shortly after 10am Matt, Ace and tBatt arrived and we connected at the lift. 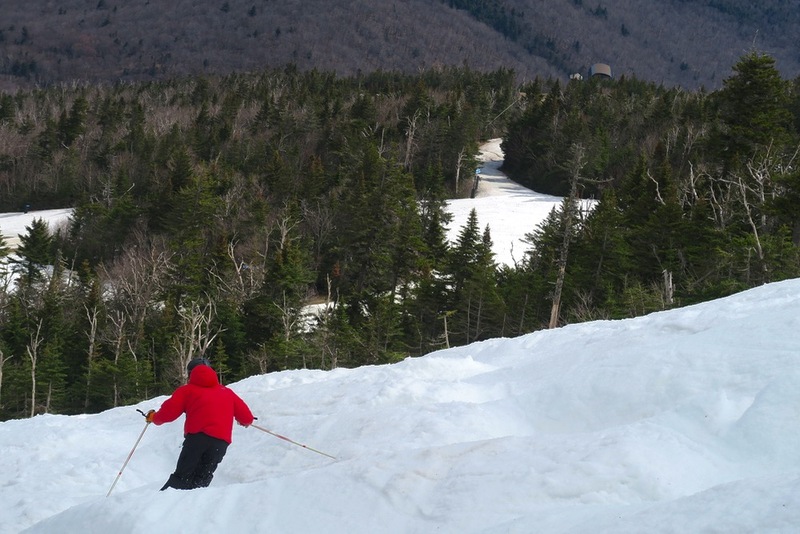 Even with a just small percentage of terrain open, Killington is a big mountain. 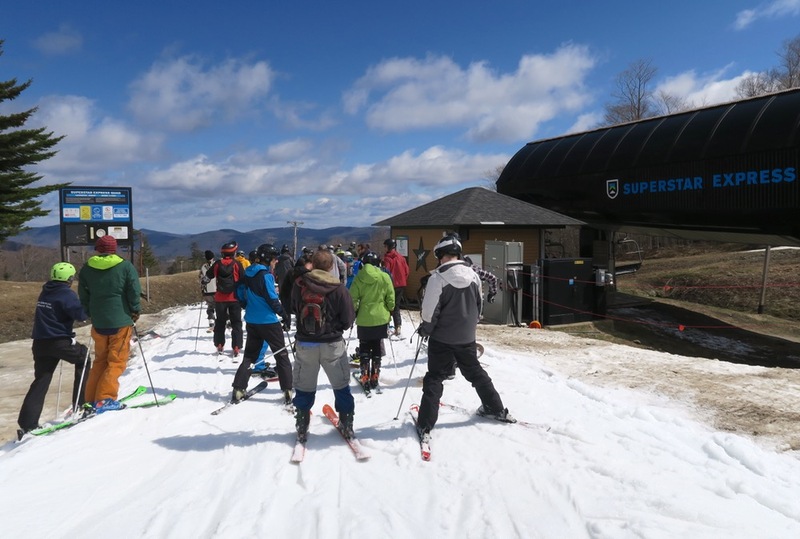 A good sized crowd created a lift line at quad, but there was plenty of open skiable terrain to spread everyone out. 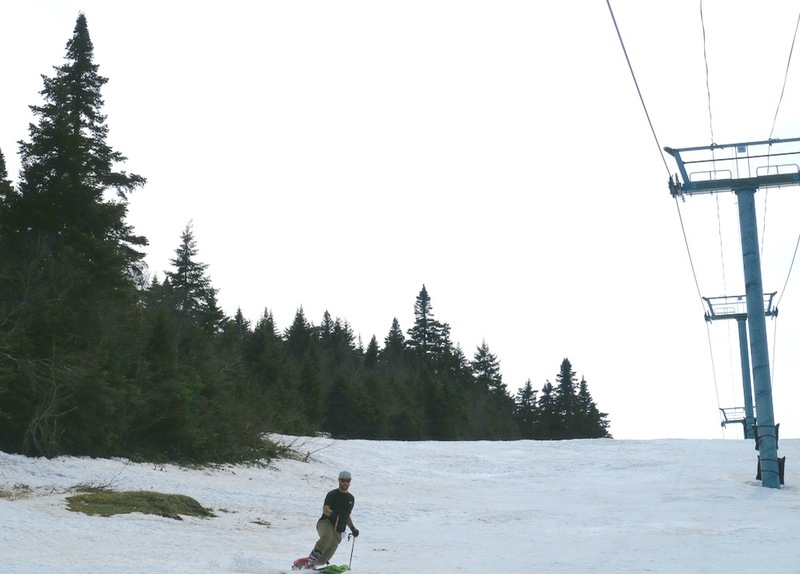 Unlike some of my previous late season trips to the mountain, Superstar was plush, nearly wall-to-wall, top-to-bottom. The bumps weren’t large enough to swallow small children, but they were certainly big enough for me. There were multiple steep routes down including Superstar, Ovation and Lower Skyelark. 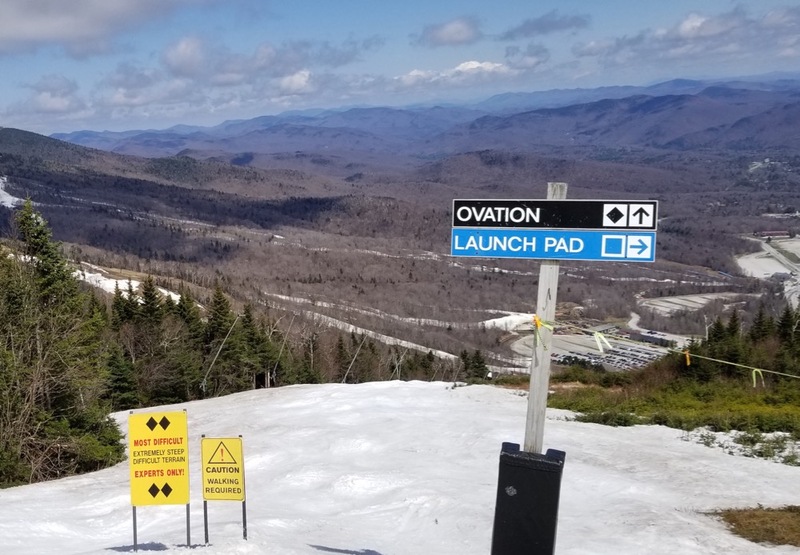 I don’t think I’d ever skied Ovation before. 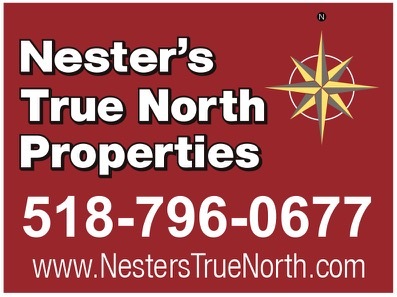 Certainly not as an expert, or in prime spring conditions. It was my favorite open terrain. Ovation was posted with some warnings at the top indicating the terrain was for experts only; steep, difficult with required walking. We laughed about it as farther down those signs were repeated with no option to bail out. Near the very bottom there was an eight foot gap that begged to be hucked as it would get you 100 yards closer to the lift before walking. This became a bit of an athletic event. We were pretty relaxed, at least at first, going back and forth between Ovation and everything else. I appreciated the chill approach. In the afternoon we cast our eyes toward the terrain normally served by the K1 Gondola. The hike over from the top of Superstar is maybe half a mile over and a few hundred feet up. We timed it, it took us about 20-25 minutes to get over there hiking at a relaxed pace. The first time I came to Killington for a Superstar Day was back in 2013. It was the only time I’d made the hike over to Killington Peak. I remember soft, slushy, beautiful, dirty, suncupped snow that was nice and flat. That year my last run of the season was one of my best; an out-of-body corn snow experience that I’ve been wanting to relive ever since. There were plenty of ski and boot tracks in the snow on the way up the road and when we got to the top there was a bit of party going on. One kid was blasting tunes from a boombox backpack while skiers were chatting, taking in the view and savoring the moment. Every so often a skier would take a breath and drop in. Eventually our time came too. We took our turns watching each other ski and slicing through the corn ourselves. 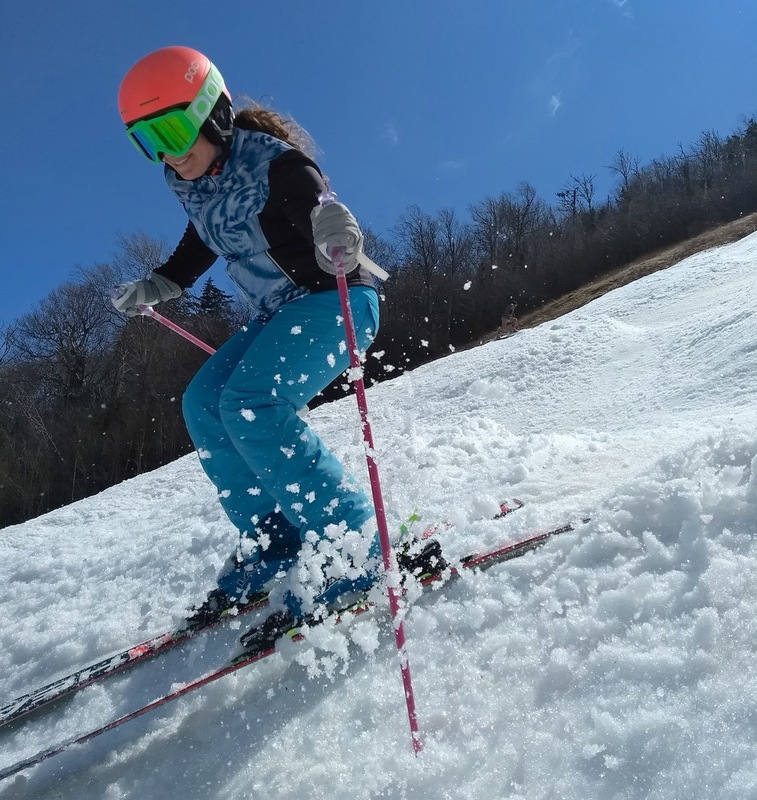 It wasn’t as soft as my previously experience — maybe we were a bit too late, or maybe it was the intermittent clouds — but it was very carvable flat snow free of bumps, a nice bit of really easy and fun skiing. We skied down until the snow ran out and then walked back to K1 lodge. We’d talked about one last run on Skyelark but we all agreed that it was best to drop the mic after our great run on Cascade. 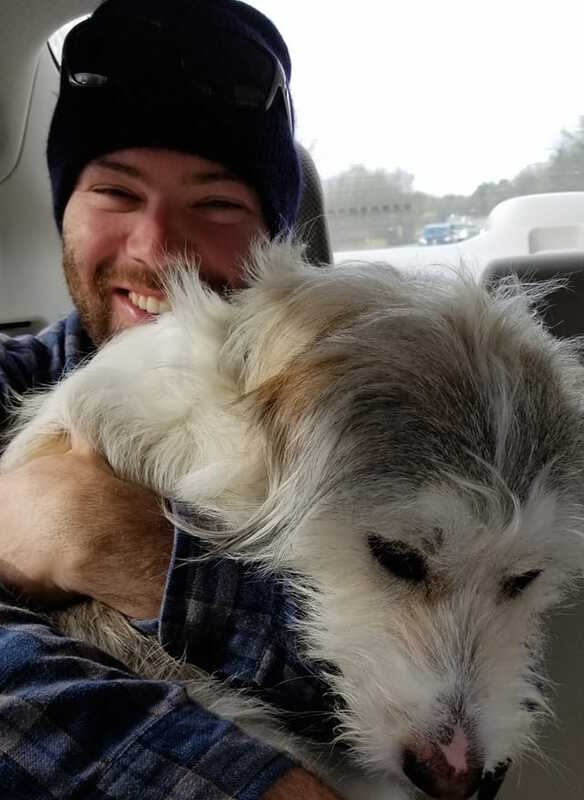 We headed out to the parking lot to reconnect with Timber who was holding down the fort. If I’m done at the end of Day 35, I’m a happy skier. It seems like every year I end my season riding the Superstar quad and when I get to this final paragraph, I say exactly the same thing. 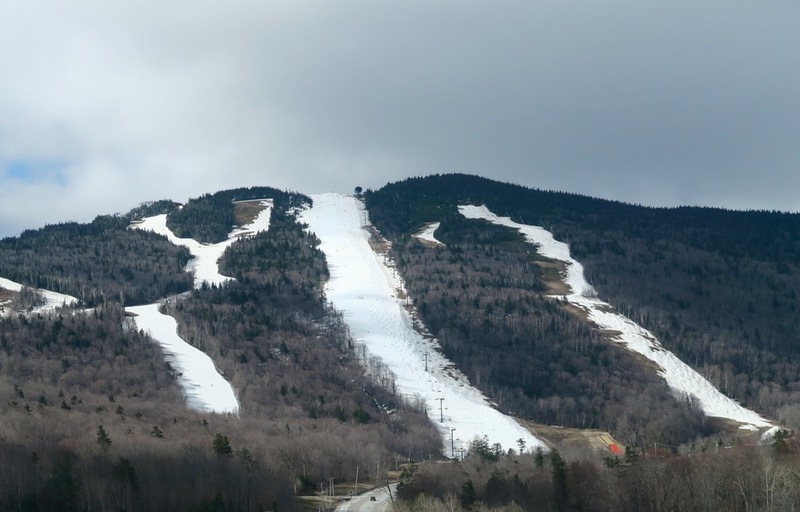 The northeast is lucky to have Killington with Mike Solimano and his mission to feed The Beast. Thanks Big K, you’re a big part of the bedrock of eastern ski culture. Killington certainly runs a tight operation. You gotta give credit to Dave Lacombe and the rest of the snowmaking dept. it’s a tough job but they do it brilliantly and now we get to enjoy the fruits of their labor. Nice, Harv. I could have used one more day of skiing. Great write up Harv. We harvested corn on the glacier late May last year and it was fantastic. There is a storm brewing in our gang and if the weather looks good next weekend we’re going to make a run for it. Looks like my season is over. It was a great one, in my mind. Thanks for a sweet finale Matt, Ace and tBatt.